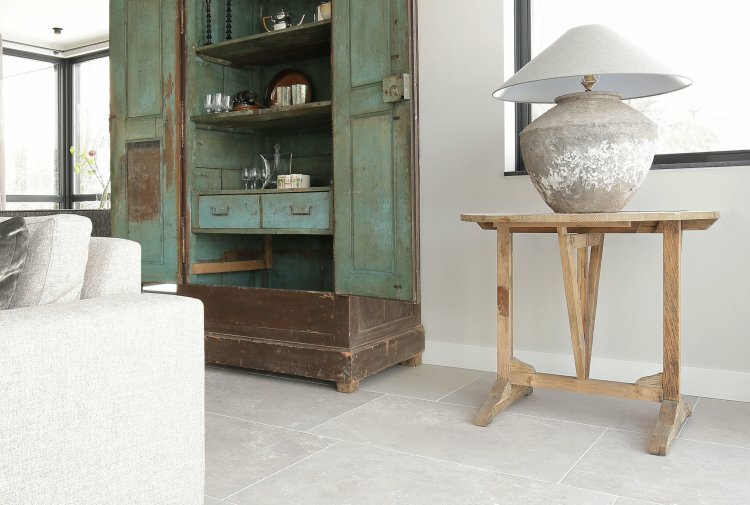 On a winter day in February I have been allowed to take pictures of the Italian travertine floor that we have placed at a beautiful new farm. 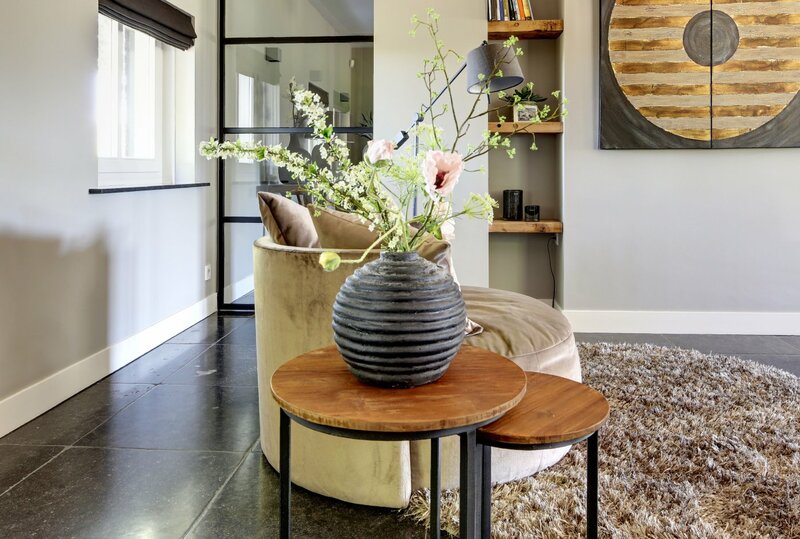 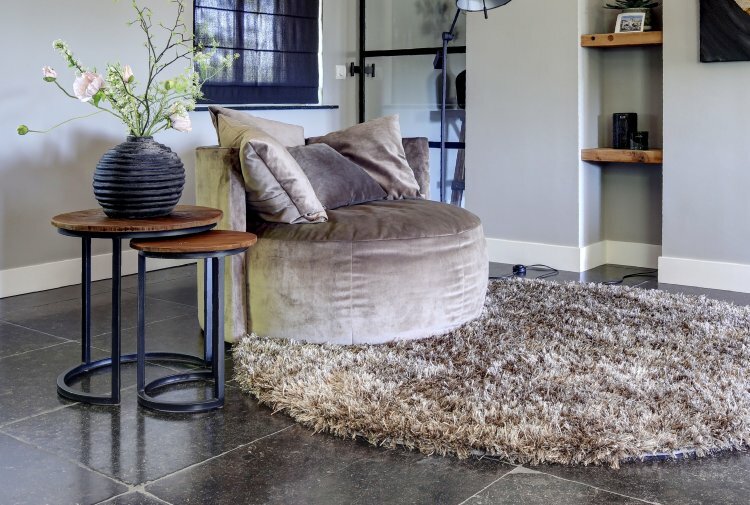 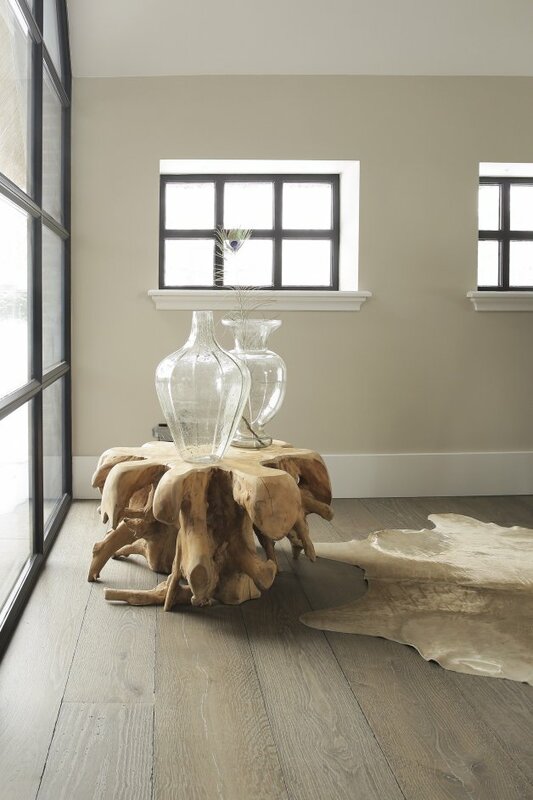 A warm floor with a beige/gray color nuance. 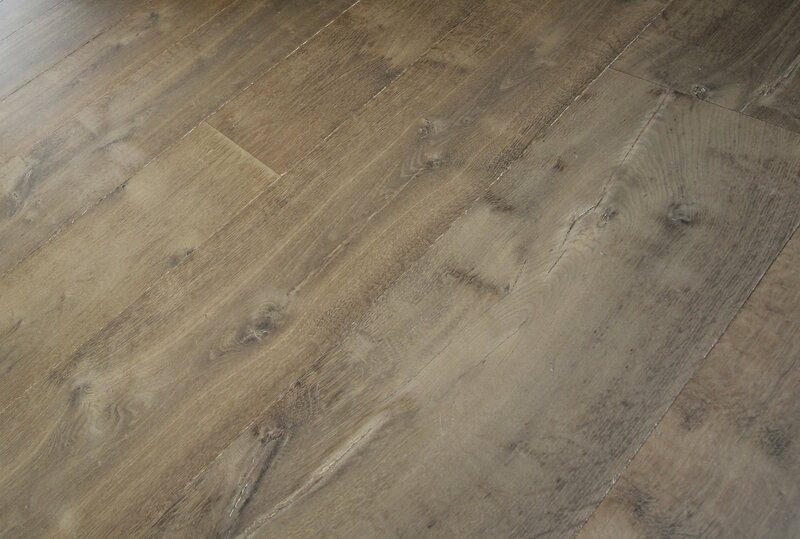 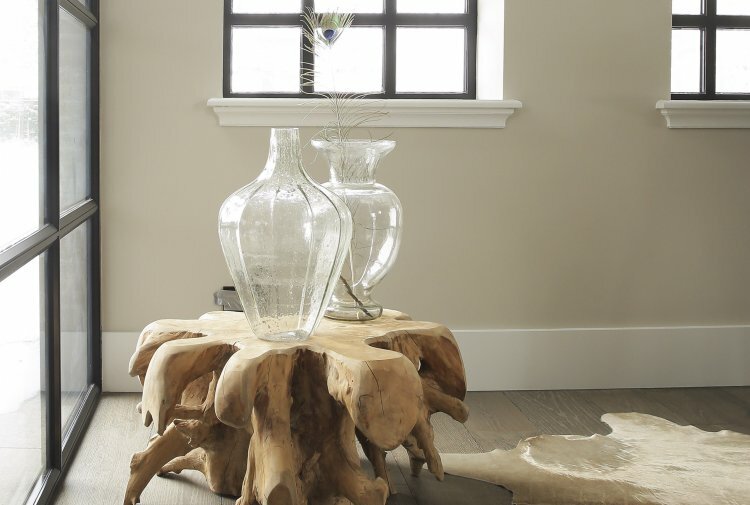 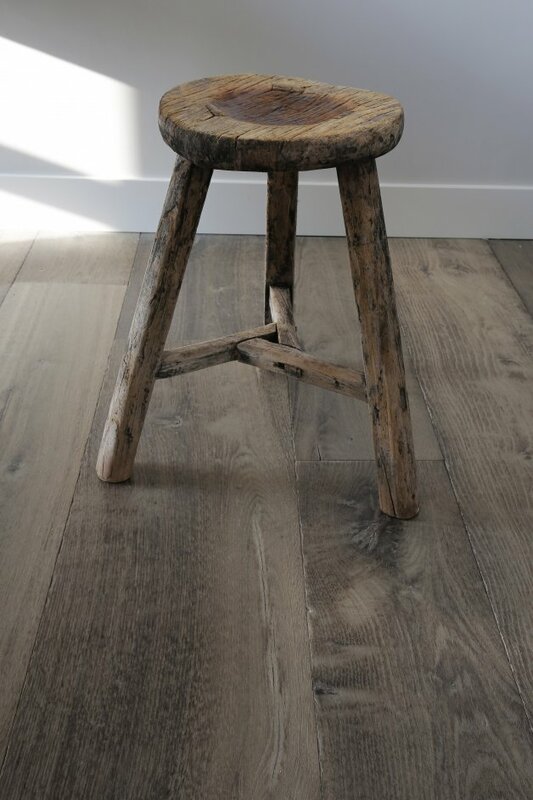 This floor is available in various sizes and gives a lot of atmosphere to your home! 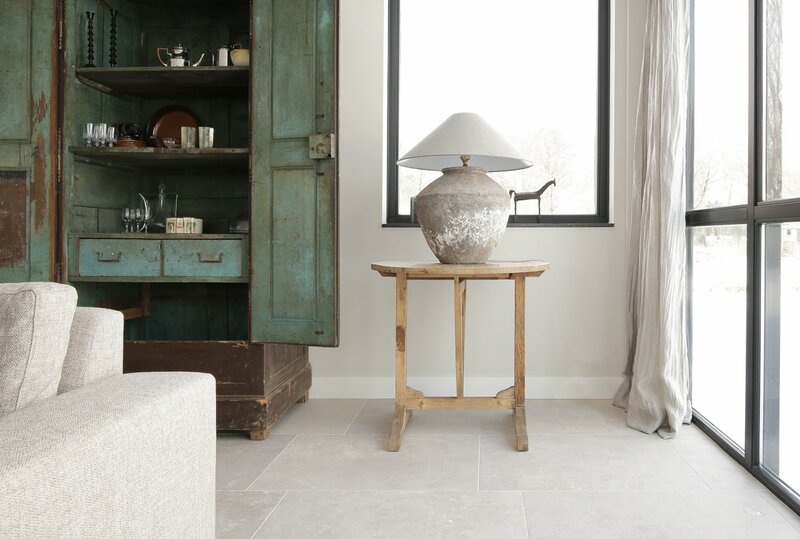 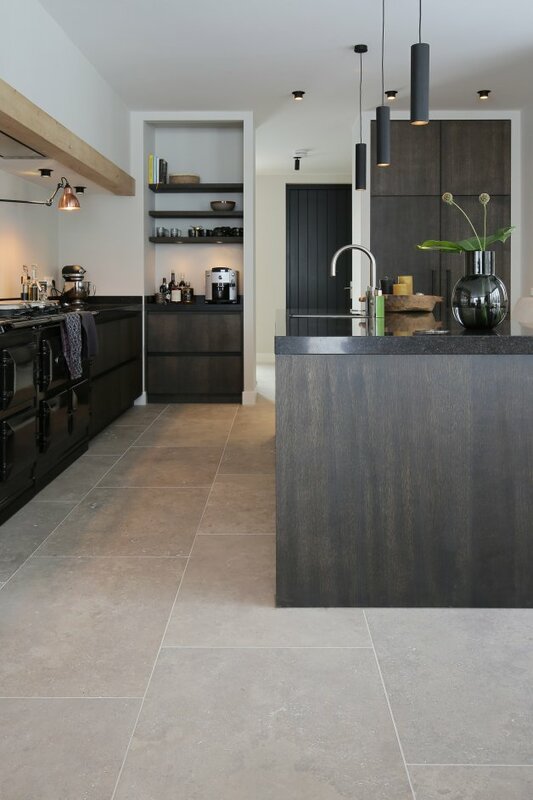 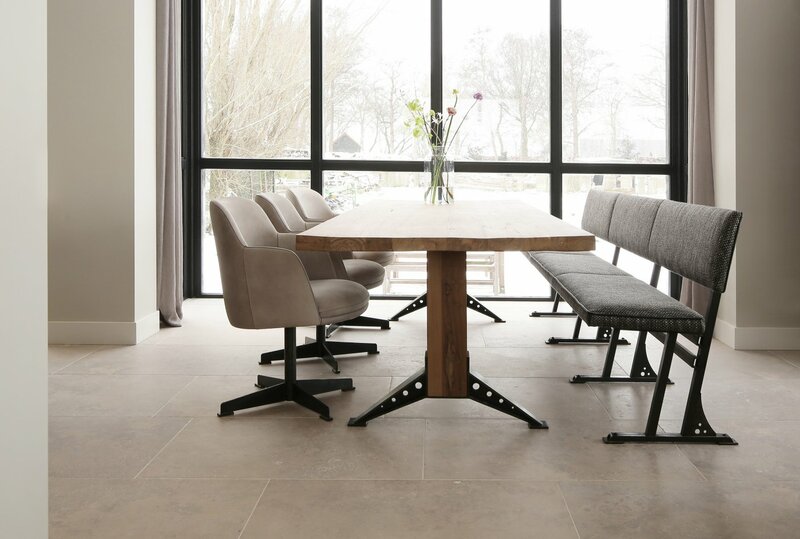 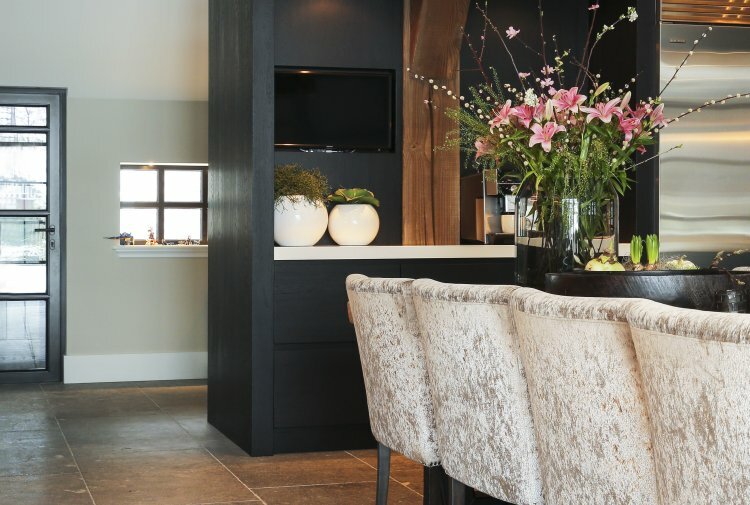 This travertine floor can also be viewed in our showroom in Made! 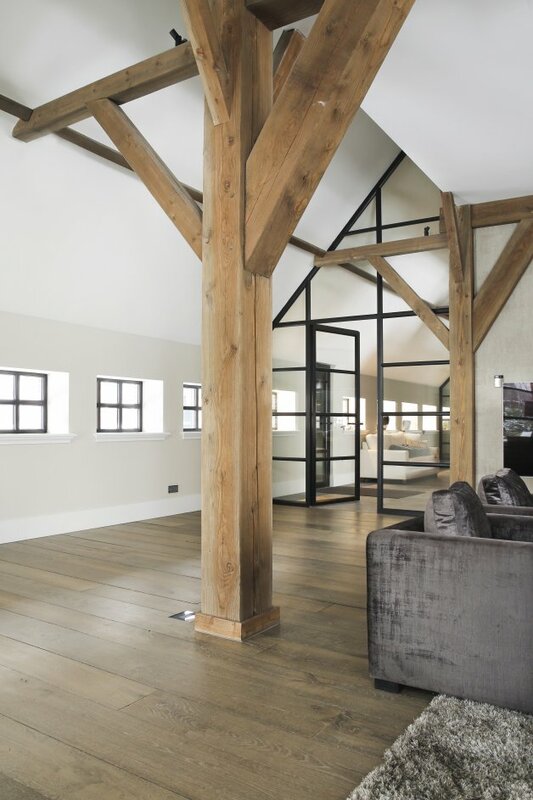 In addition to the travertine floor, we also supplied and installed an aged wooden floor in the office and in the bedrooms. 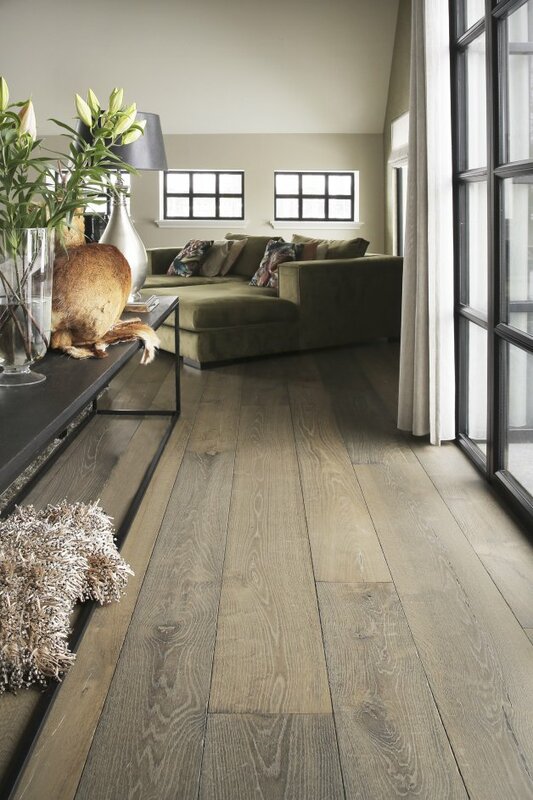 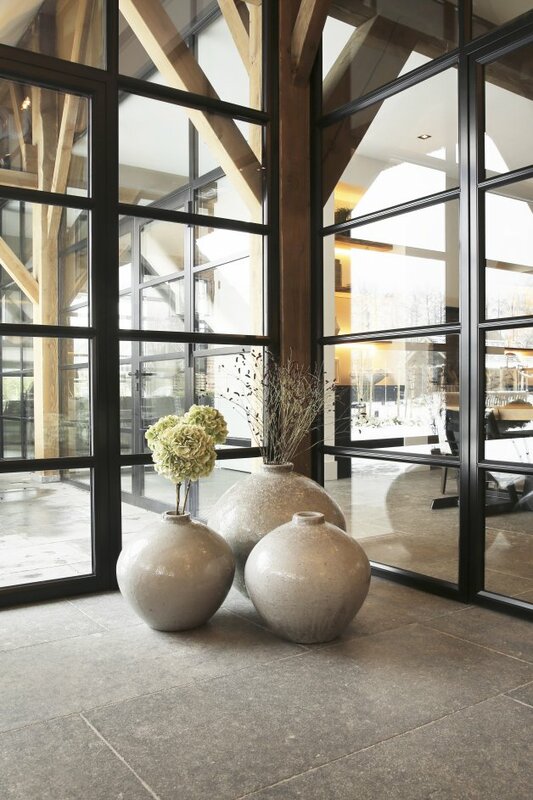 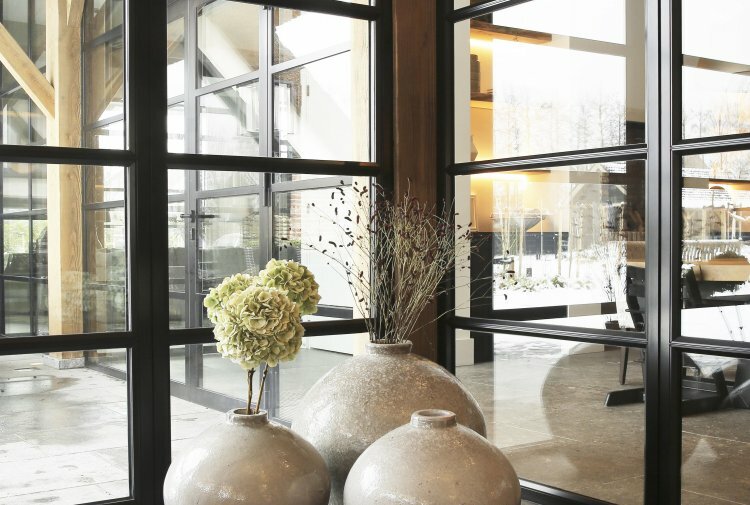 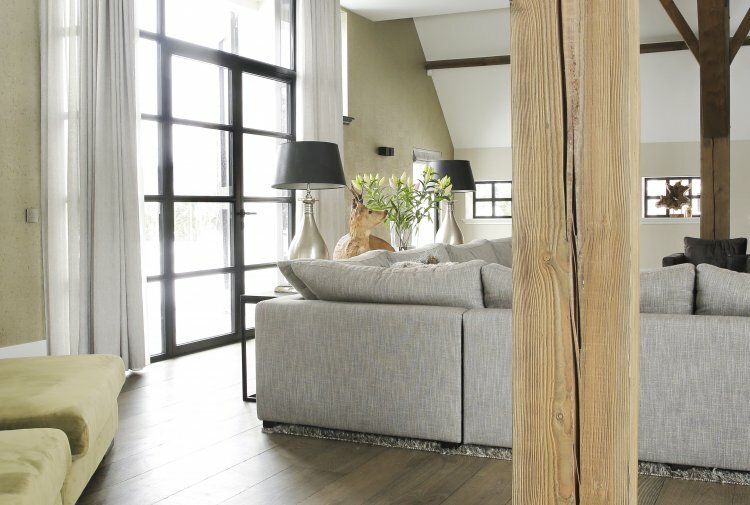 This wooden floor gives warmth and radiance to the home! 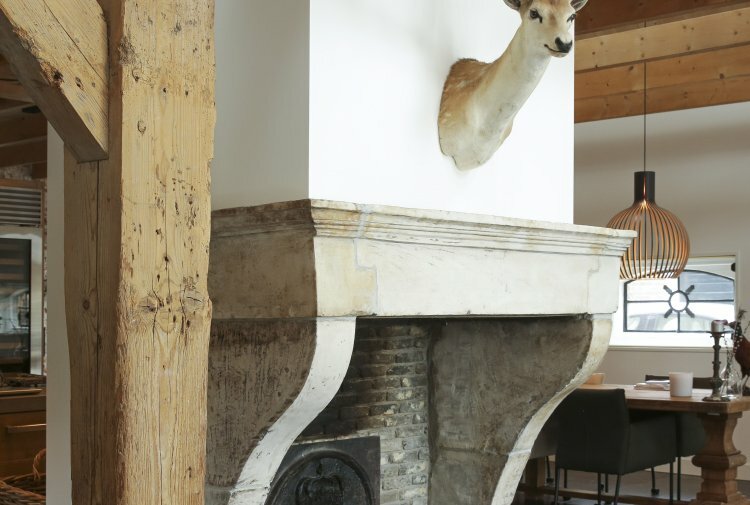 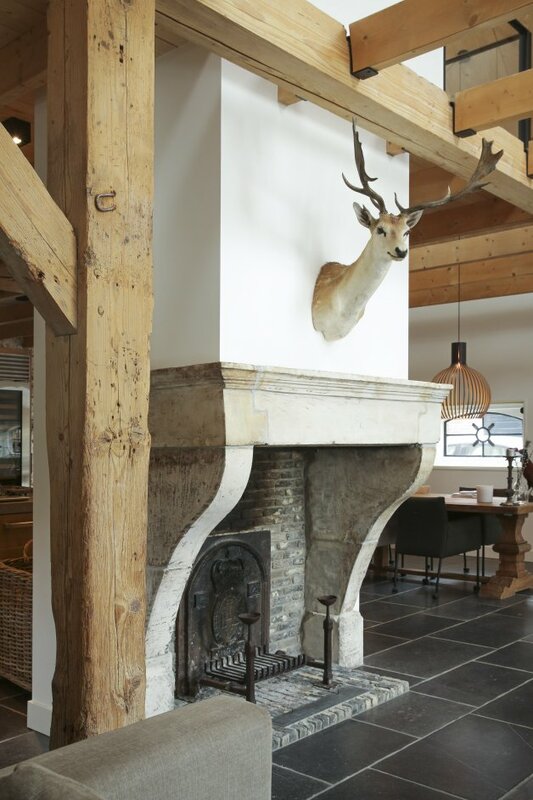 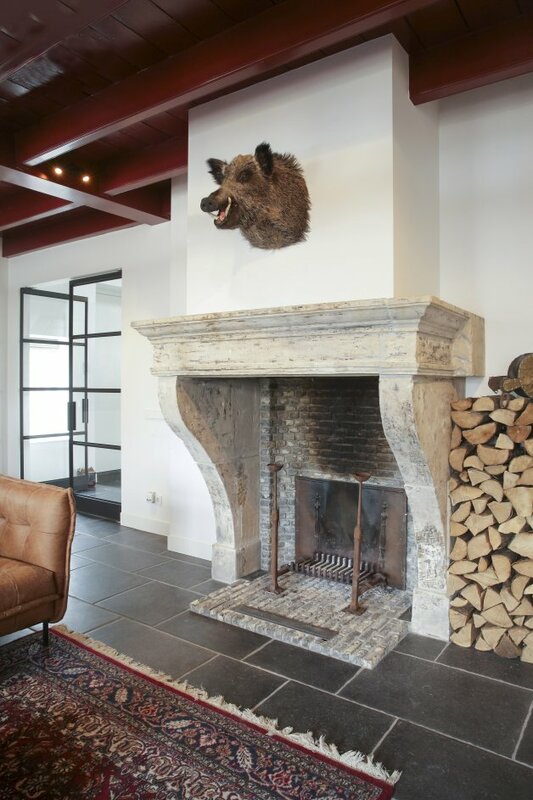 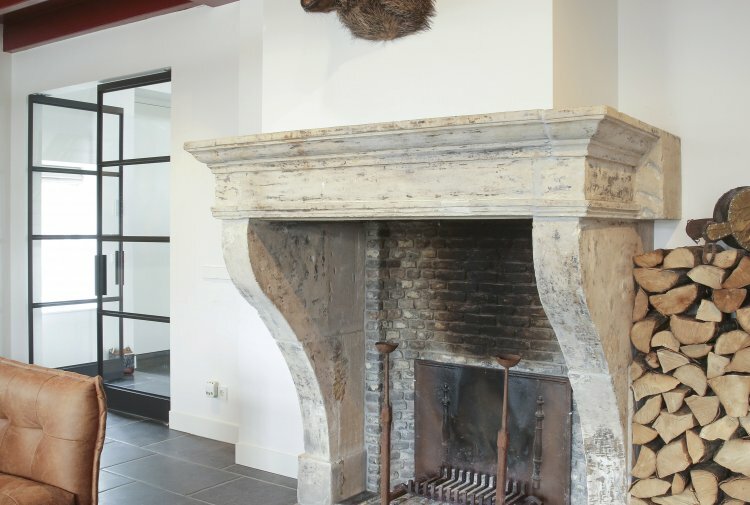 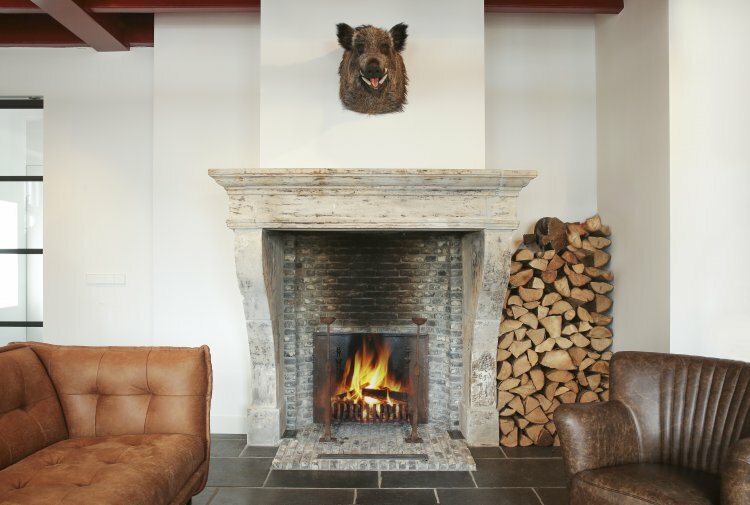 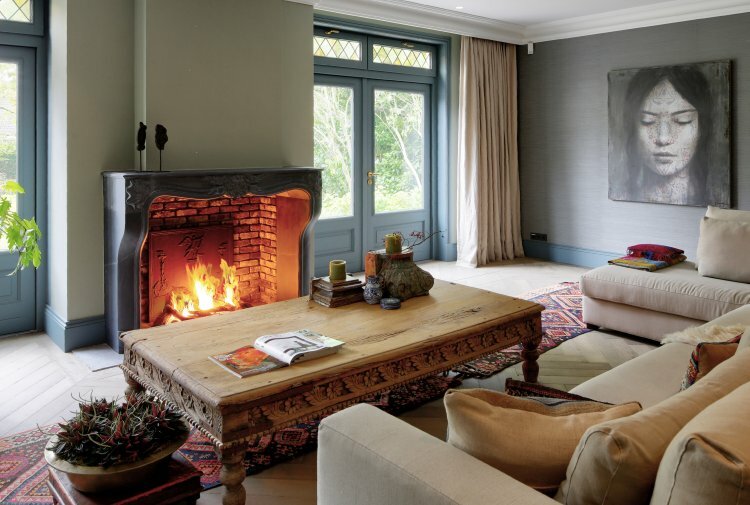 We have placed two antique fireplaces at this converted farmhouse. 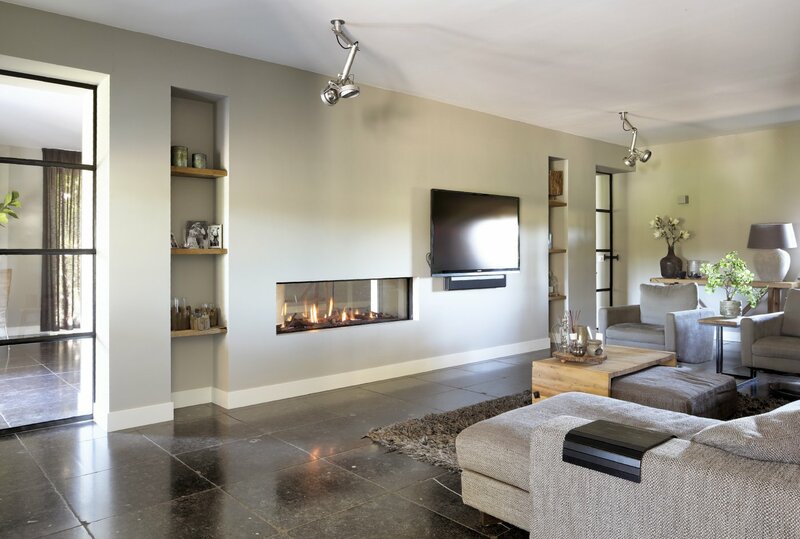 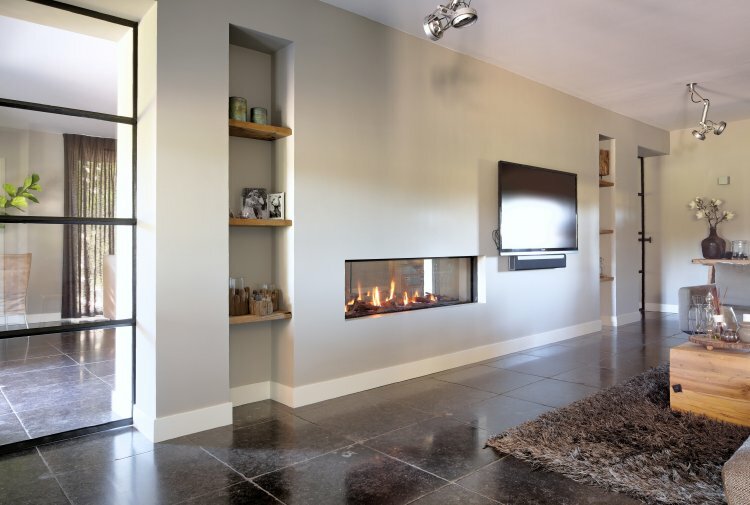 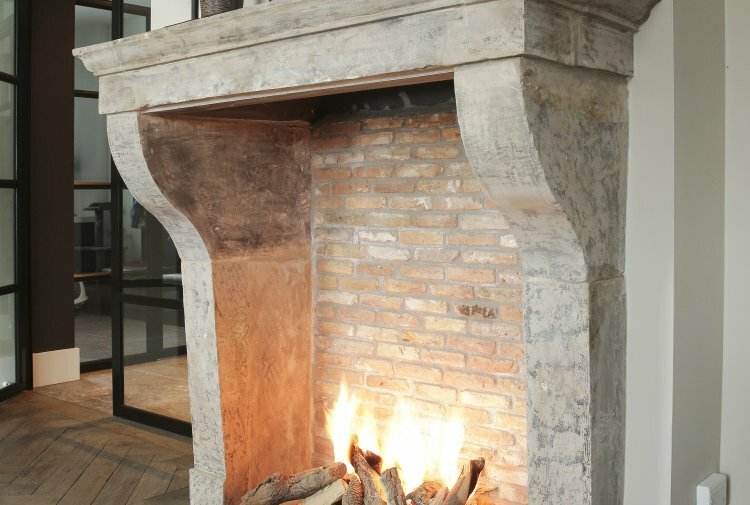 The first fireplace is in a relax room and the second one is in the living room. 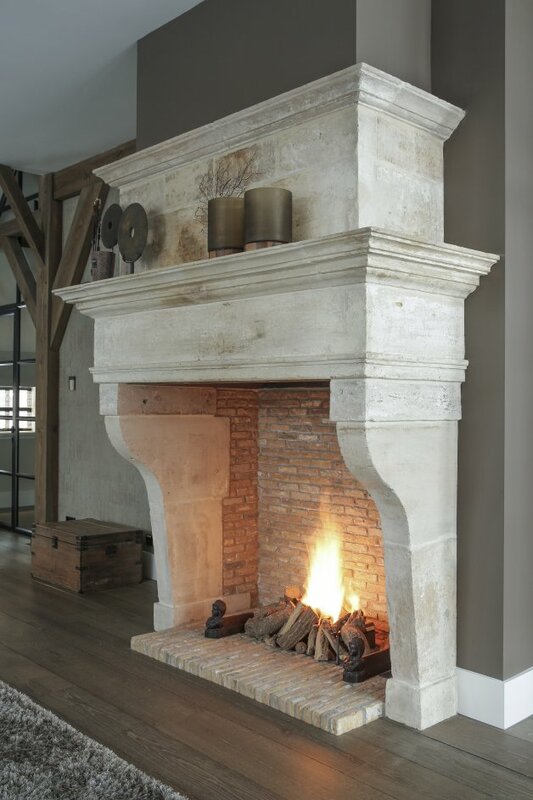 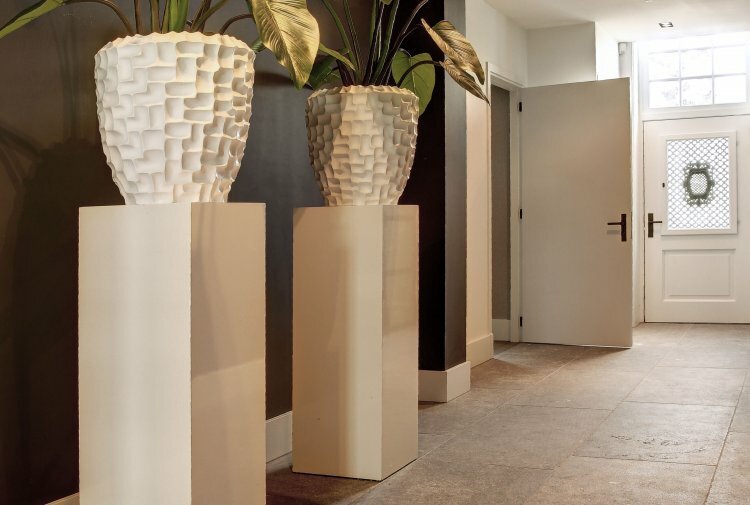 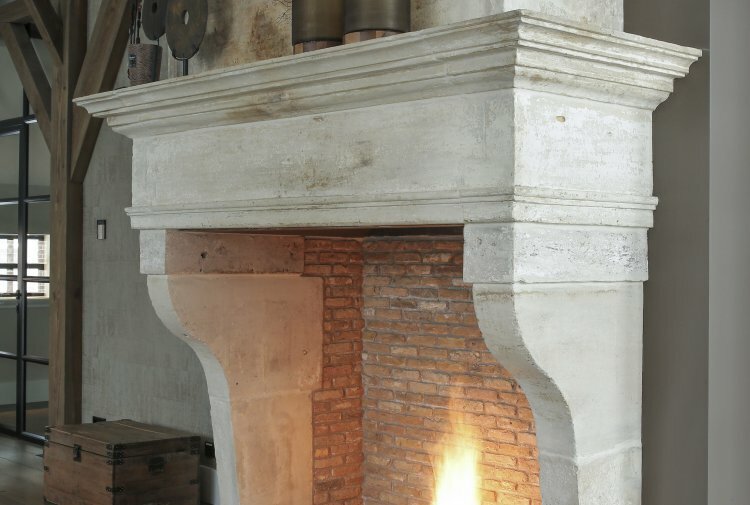 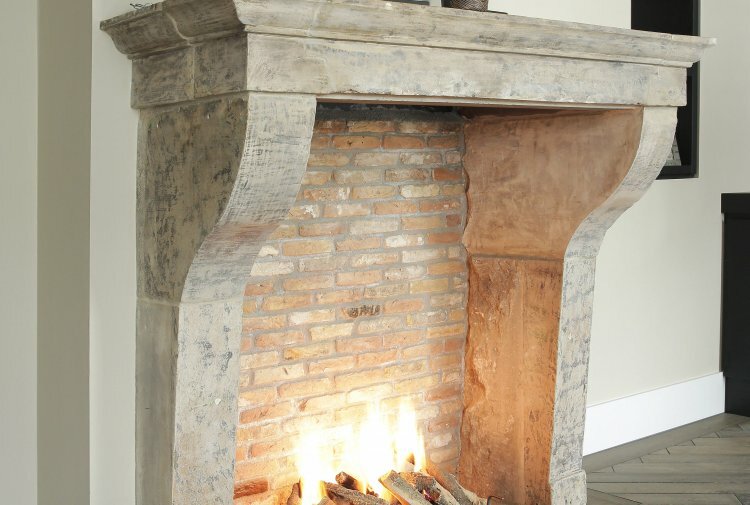 Both fireplaces are made of French limestone and in Campagnarde style. 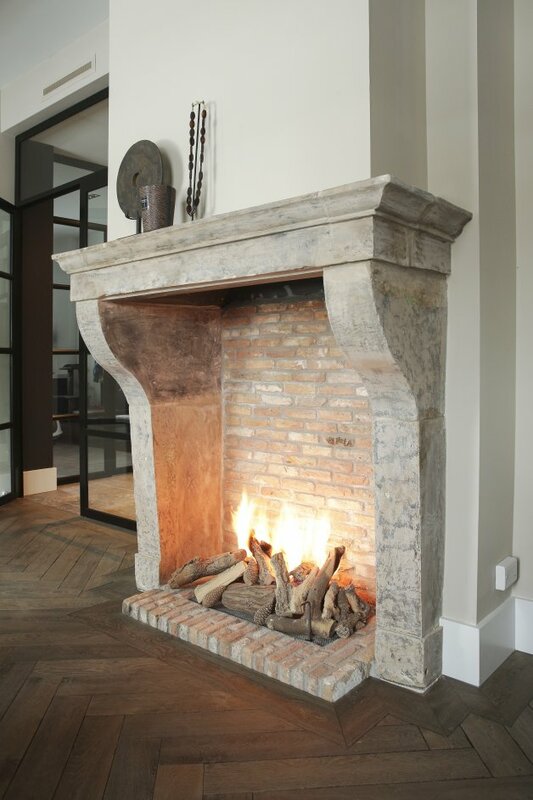 An antique fireplace remains a very beautiful piece of furniture for every interior and retains its value! 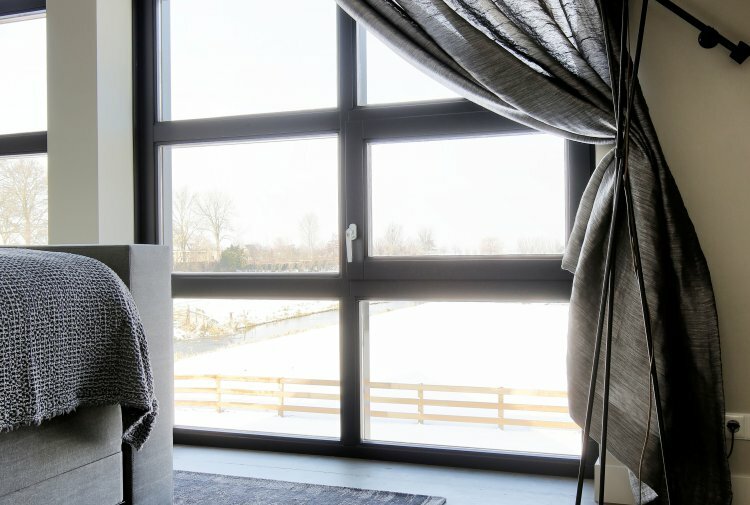 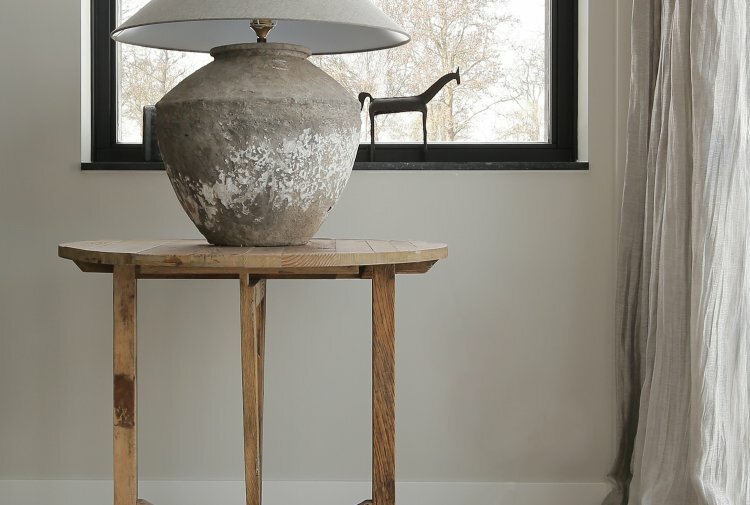 On a winter day I drove to Utrecht and I took pictures of this beautifully rebuild farm! 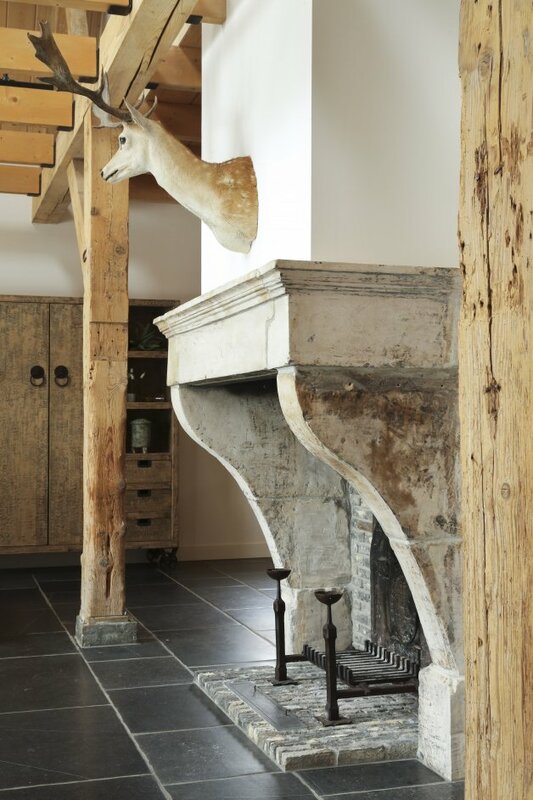 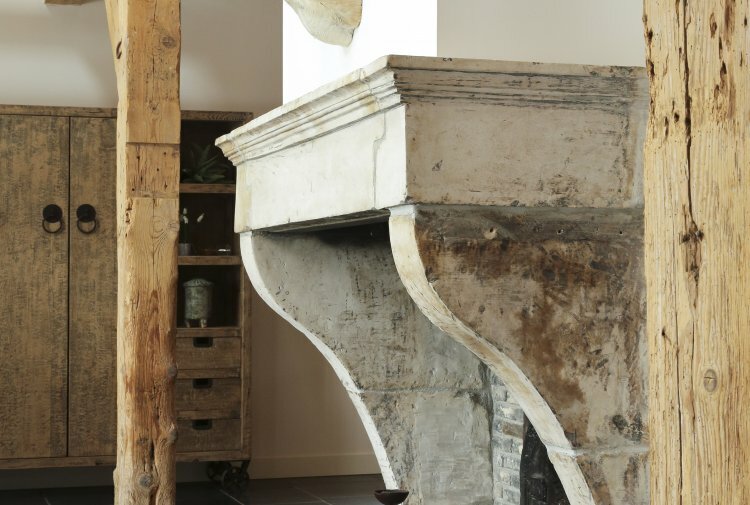 At this farm we have placed two antique French limestone fireplaces. 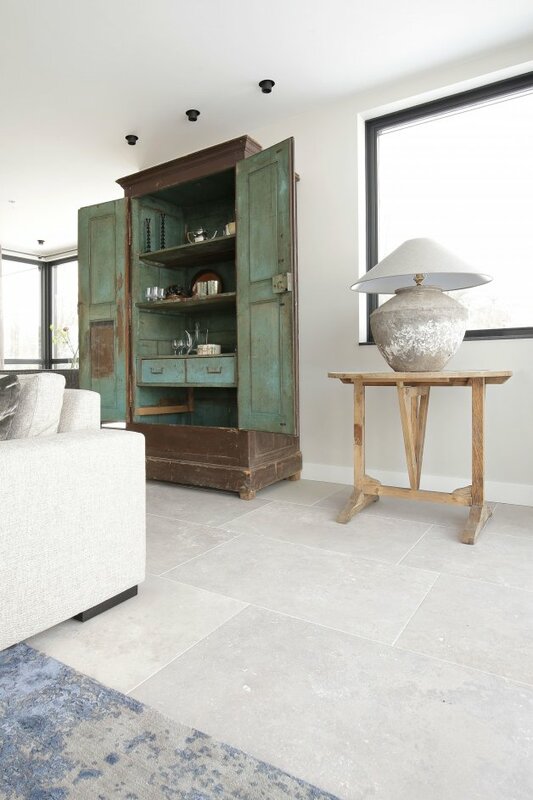 On the ground floor we have placed an old wooden floor in the living room and a Belgian bluestone floor in the kitchen, hall and playroom. 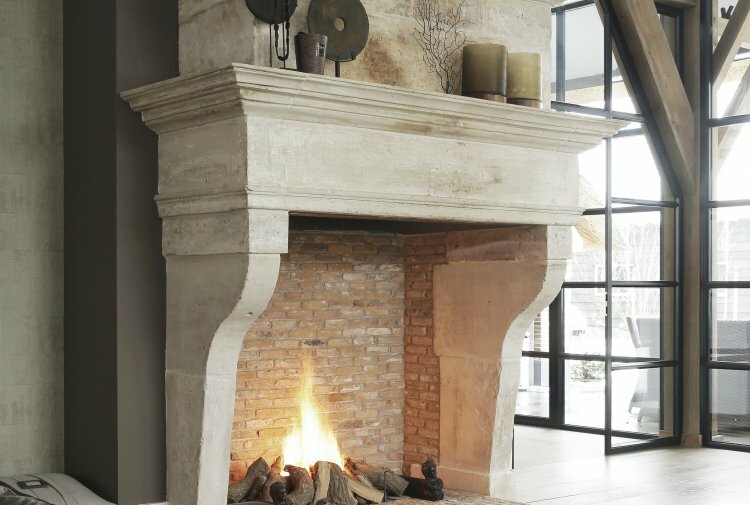 The whole combines perfectly together and has become beautiful! 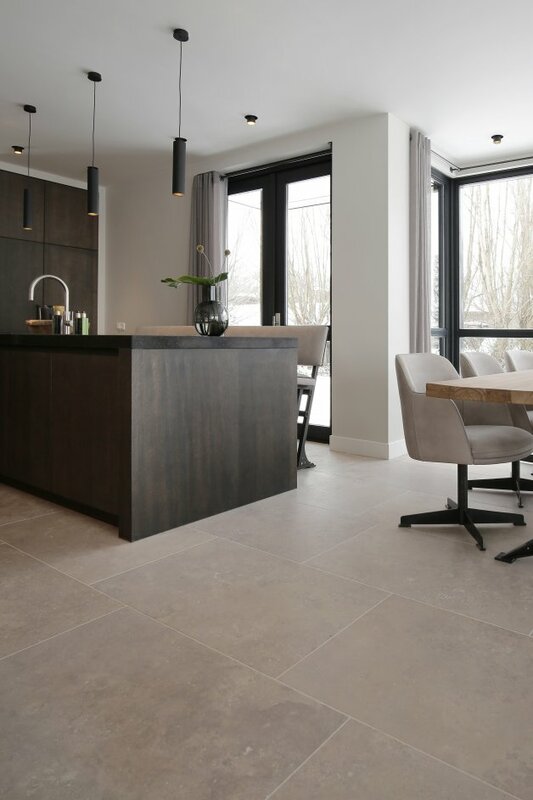 At this beautiful renovated house we have laid several floors. 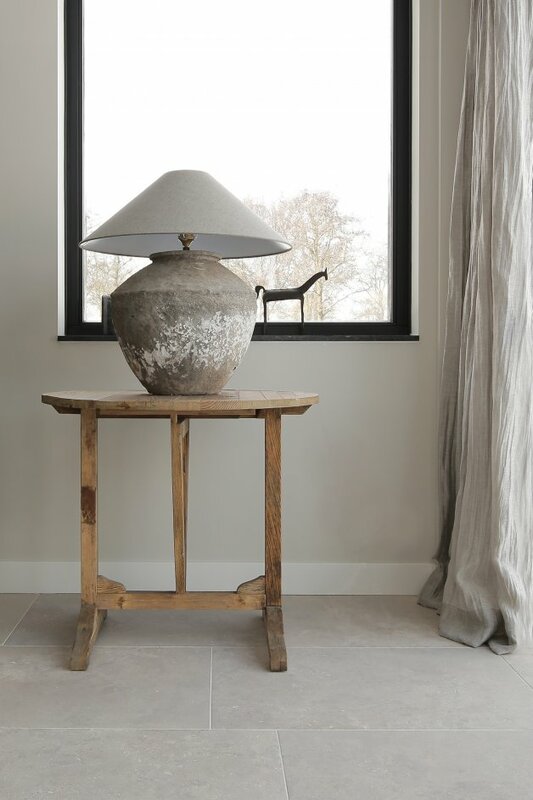 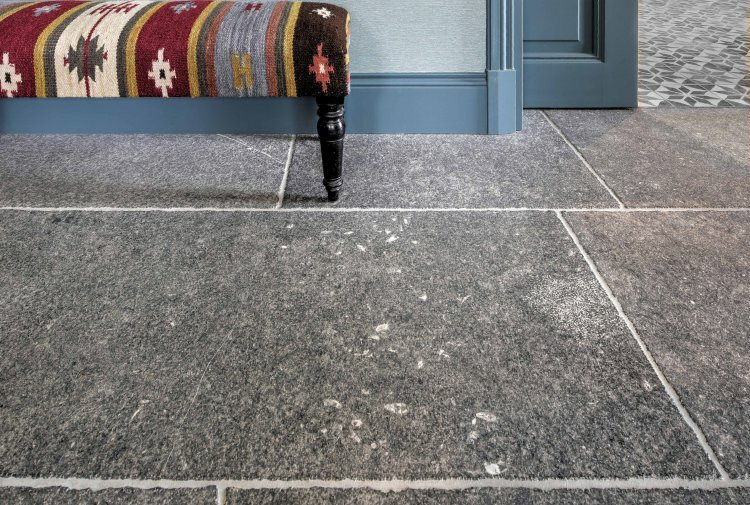 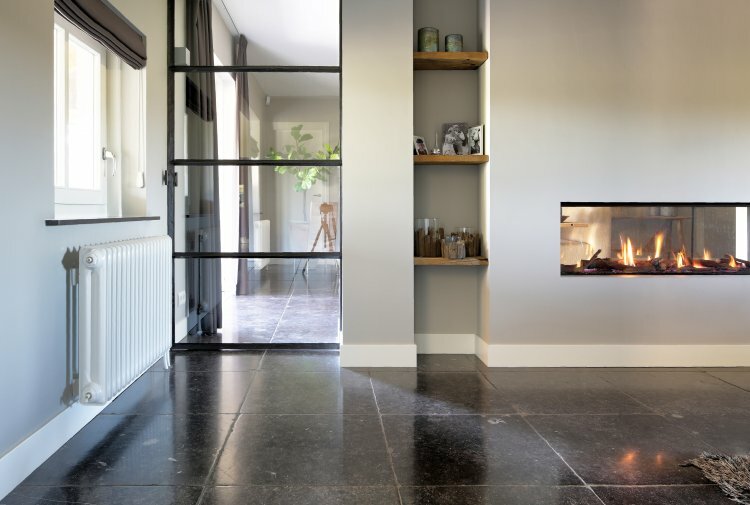 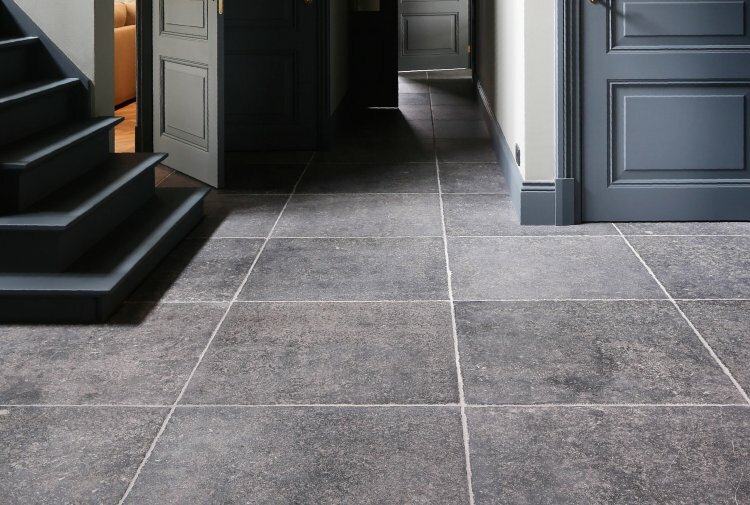 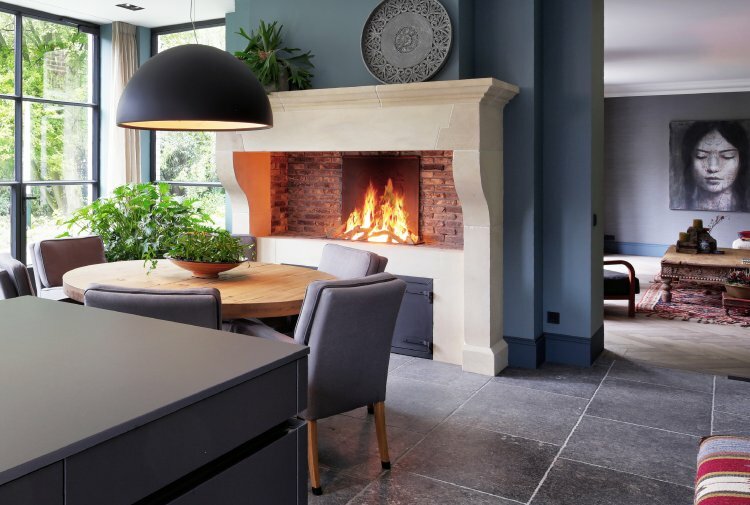 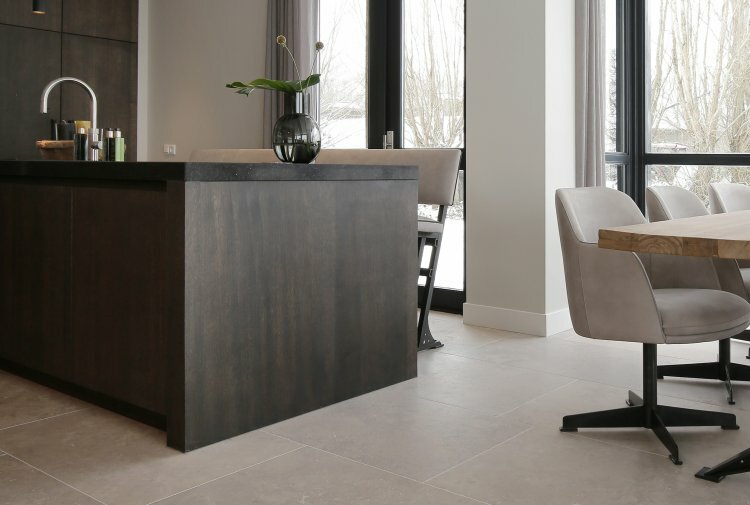 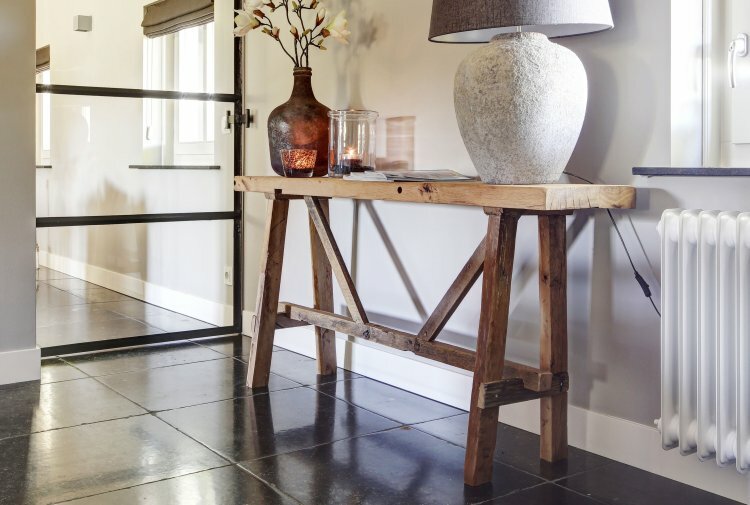 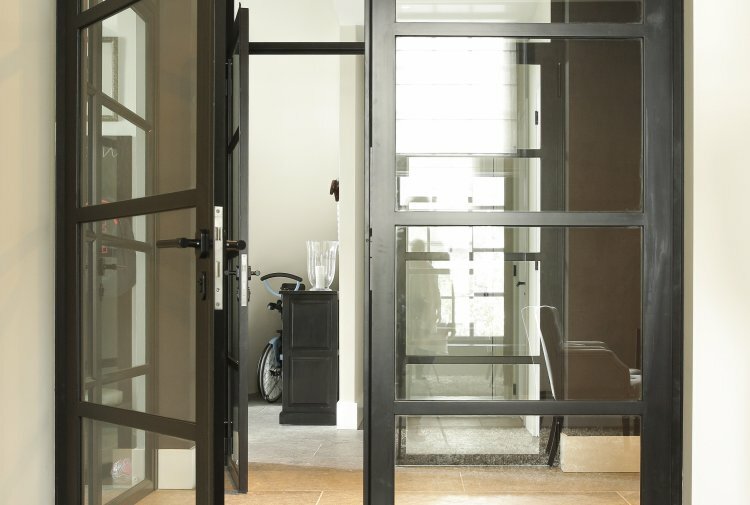 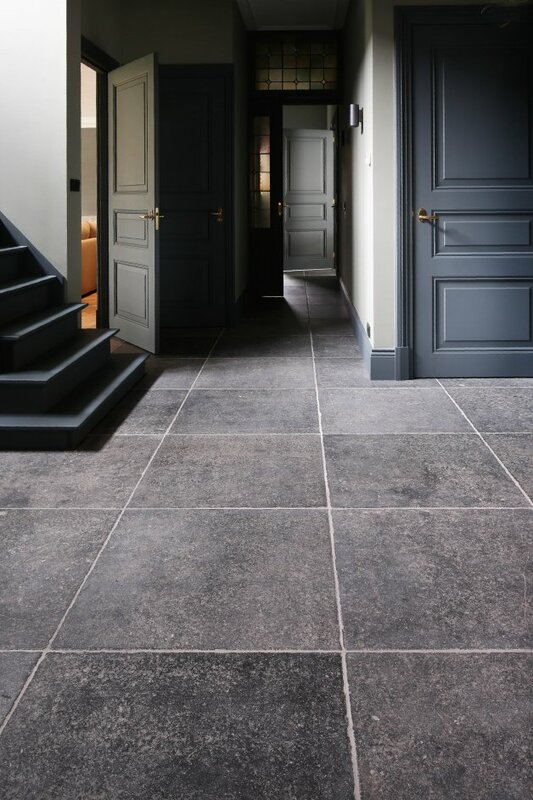 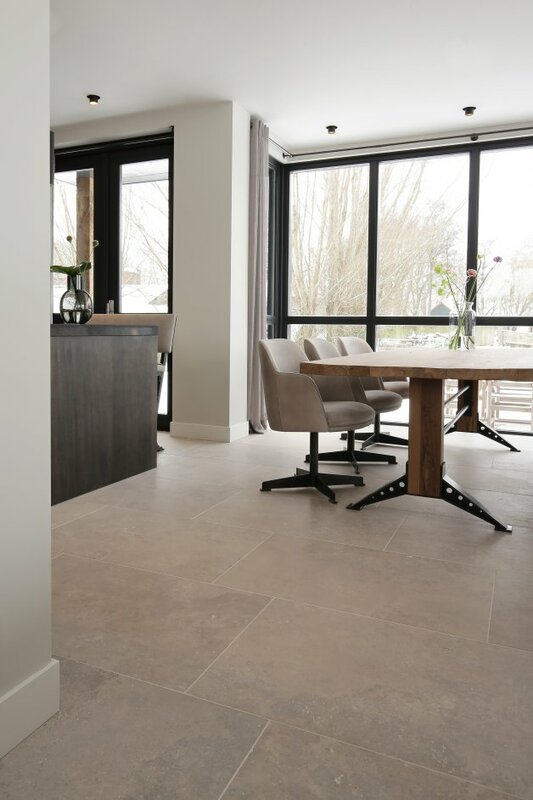 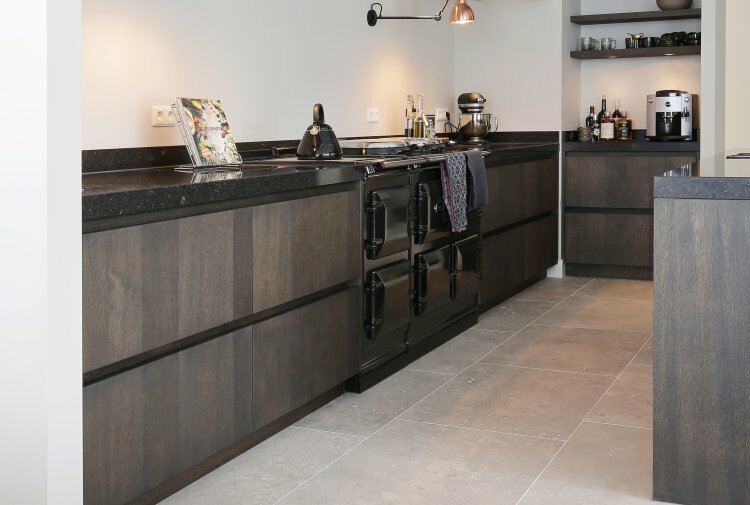 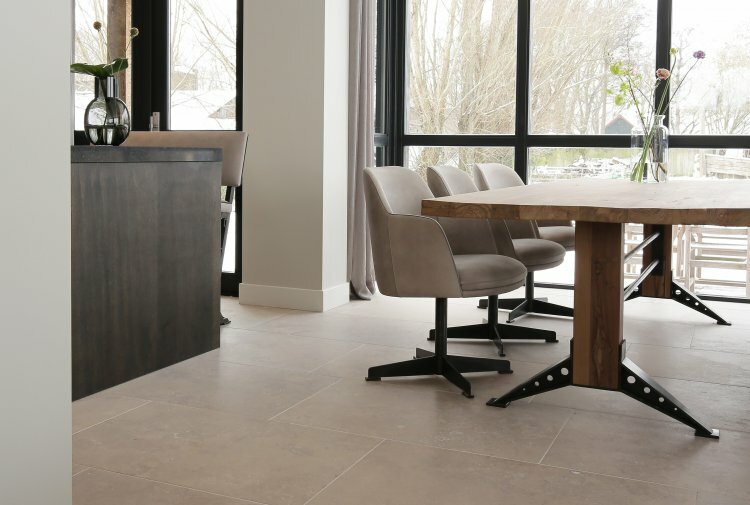 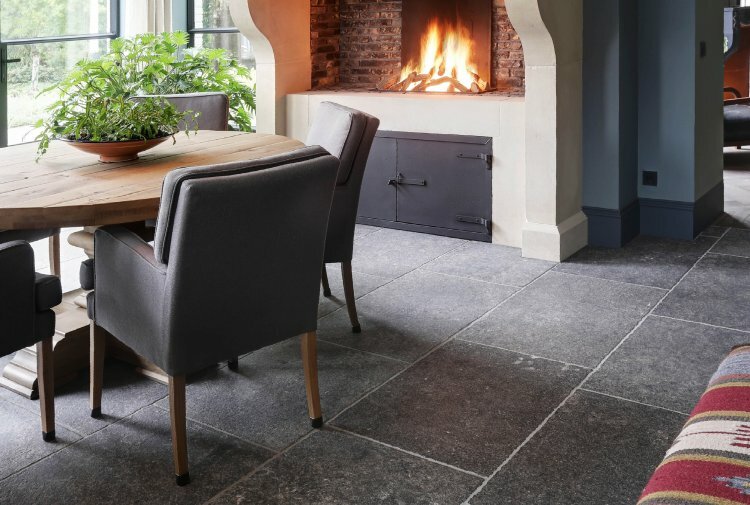 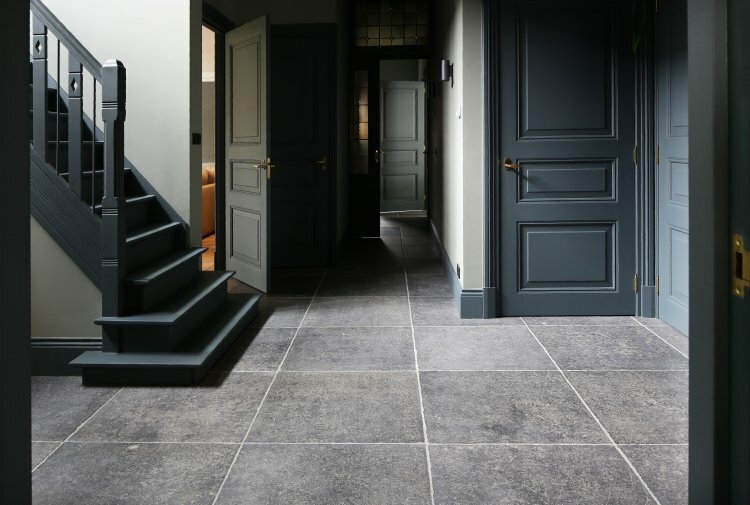 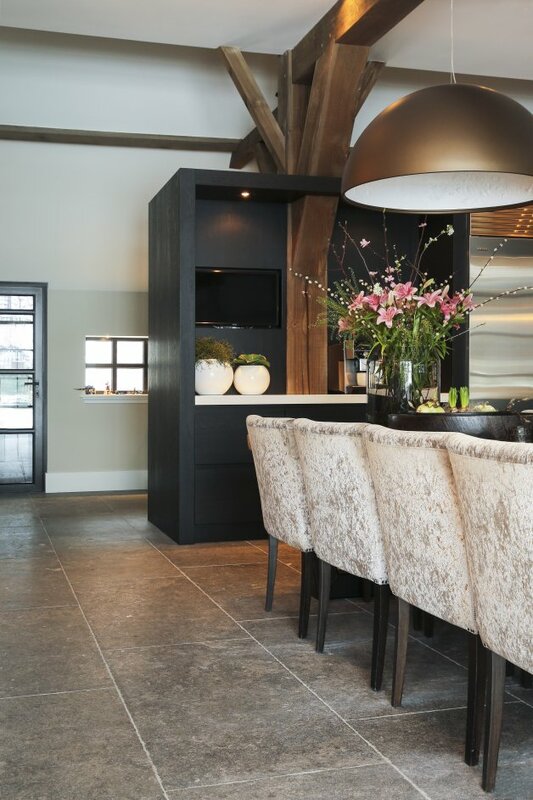 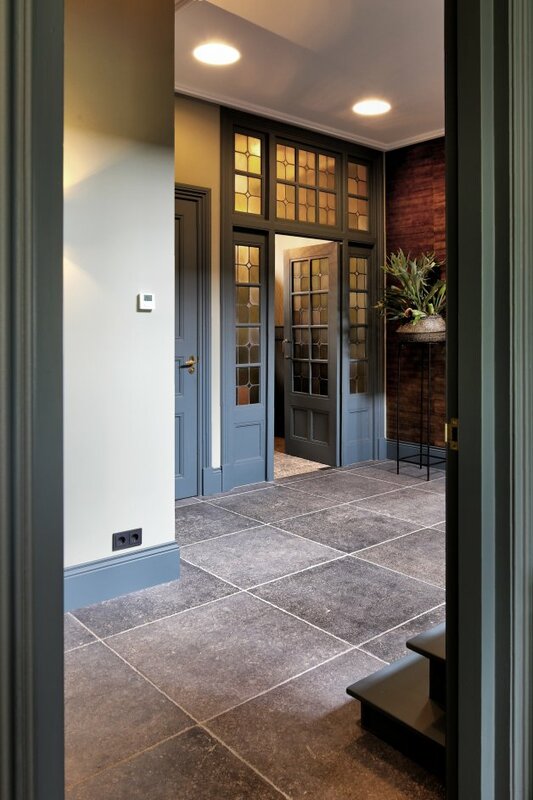 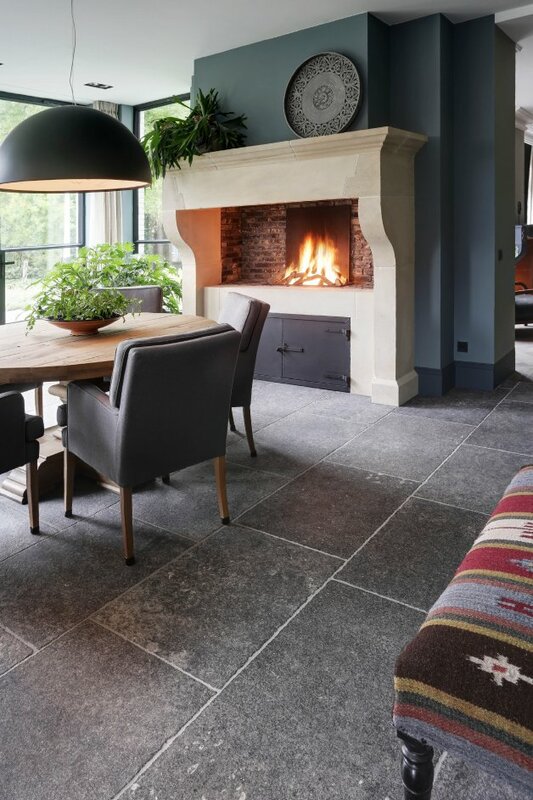 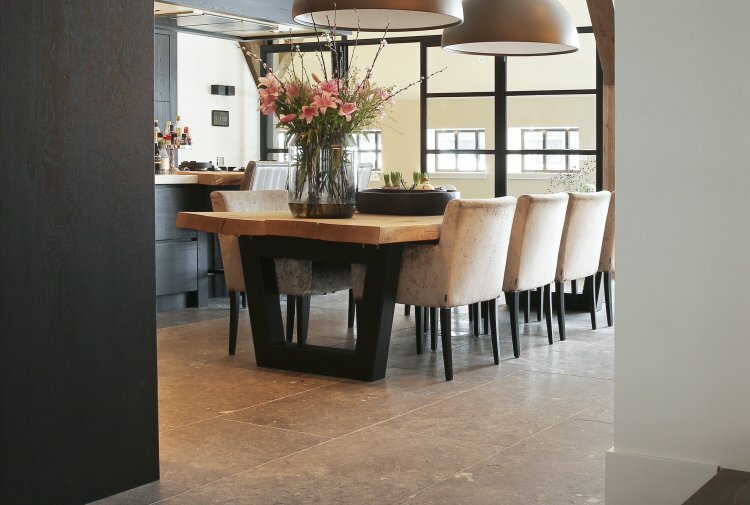 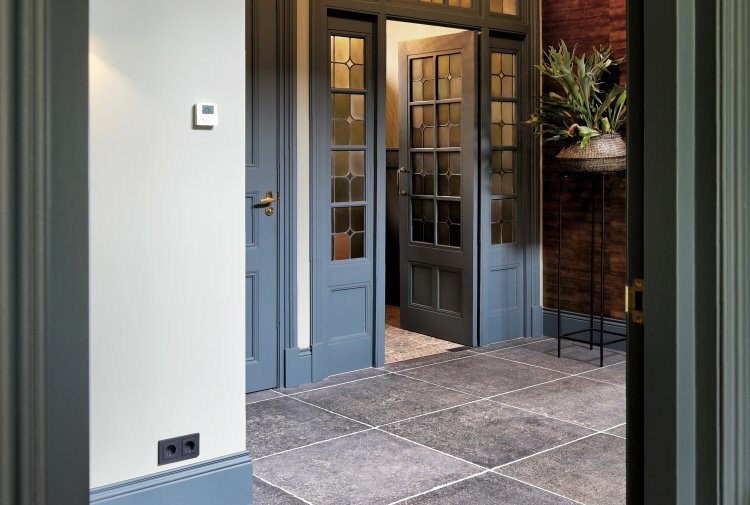 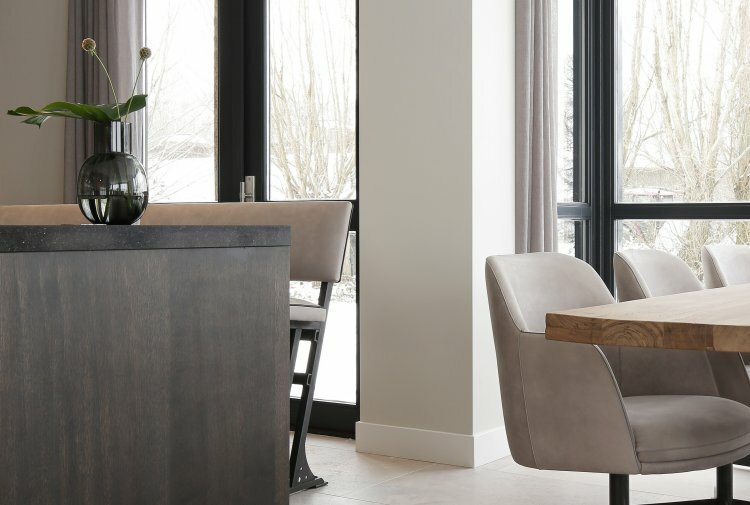 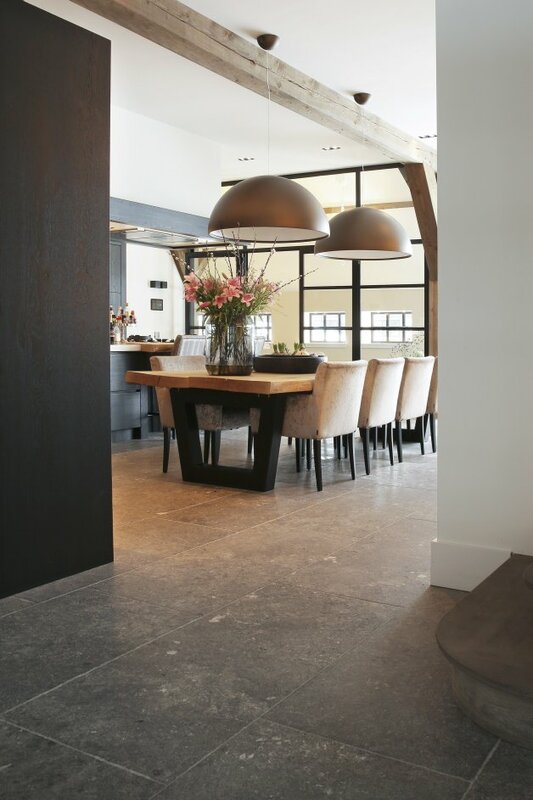 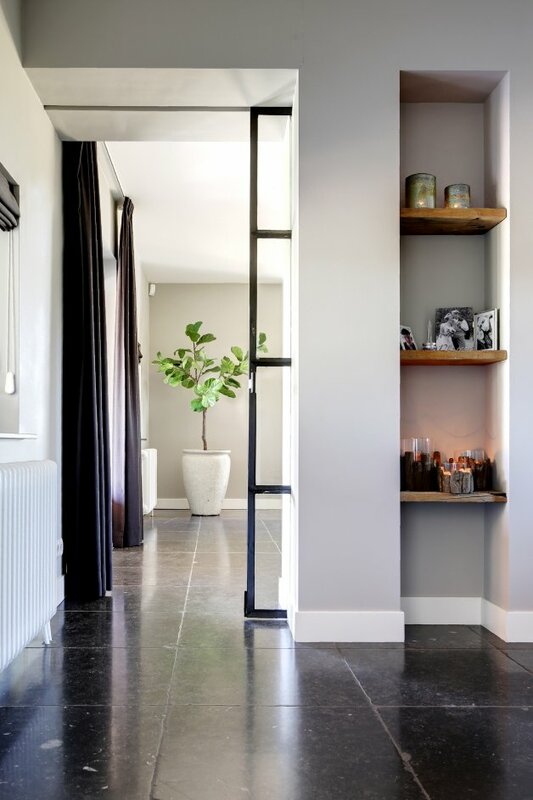 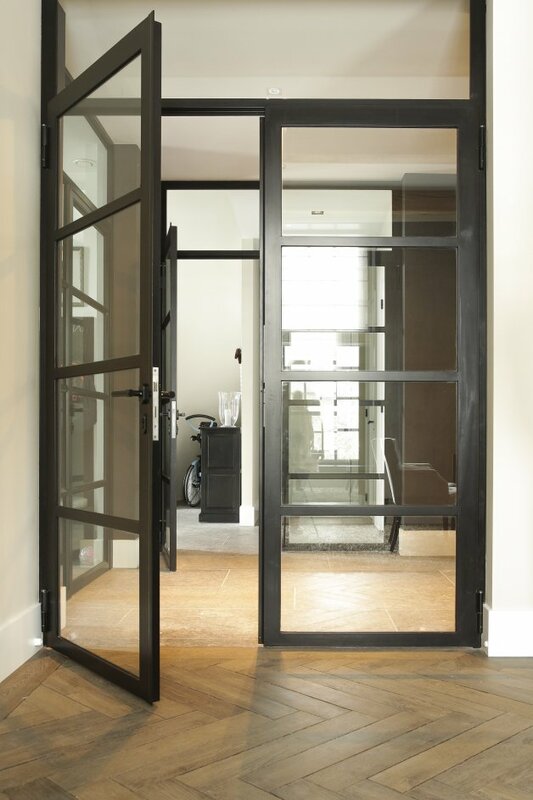 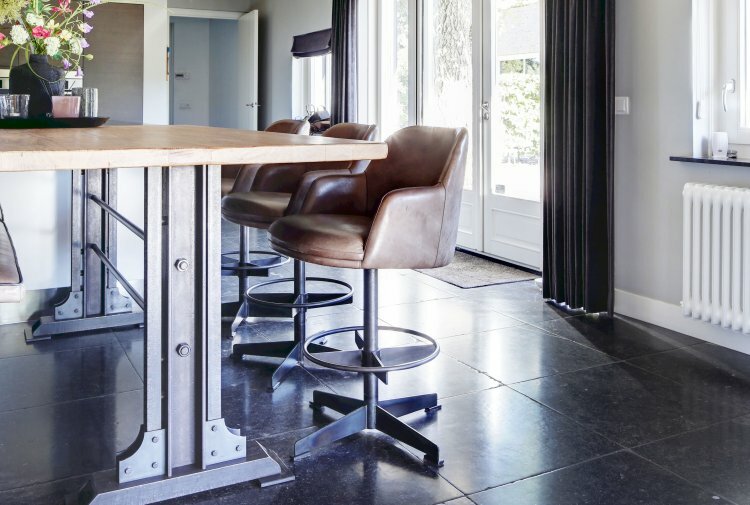 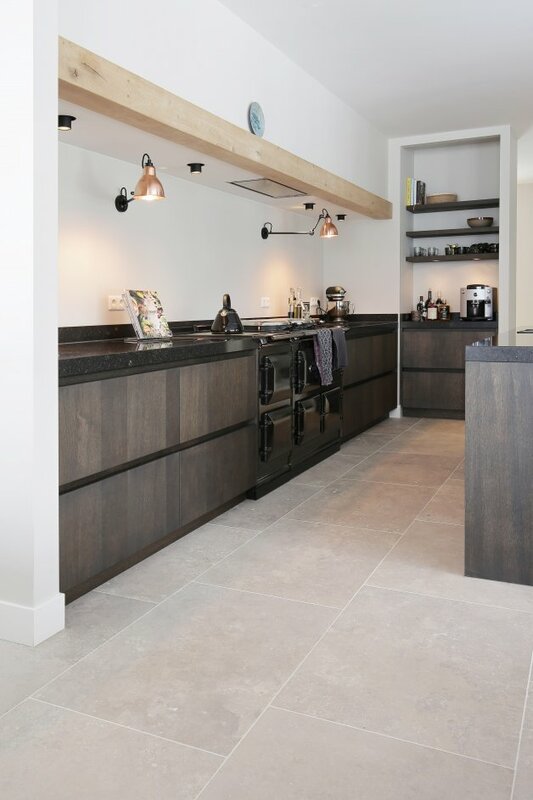 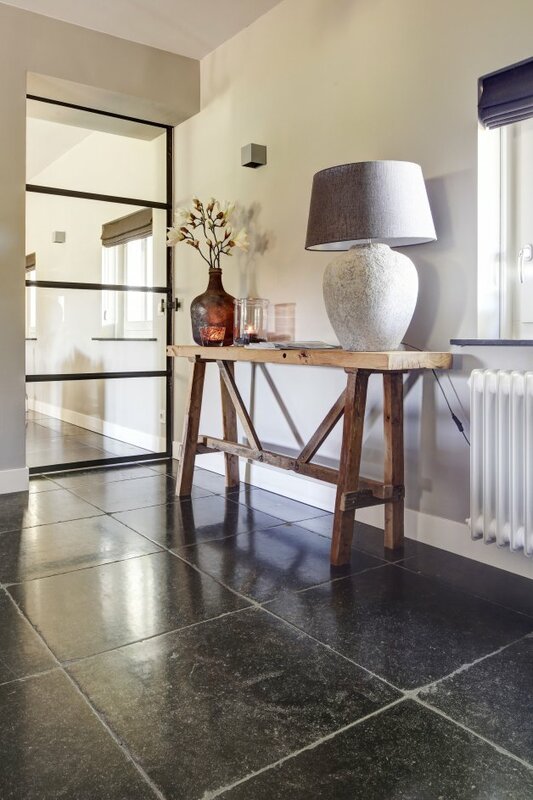 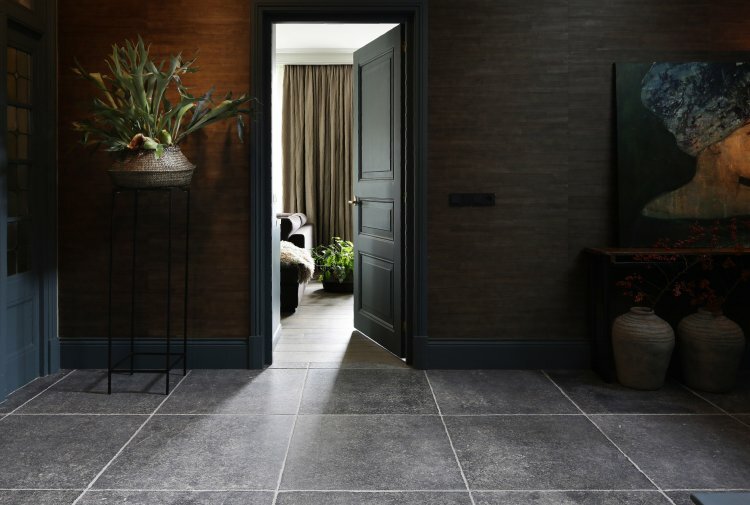 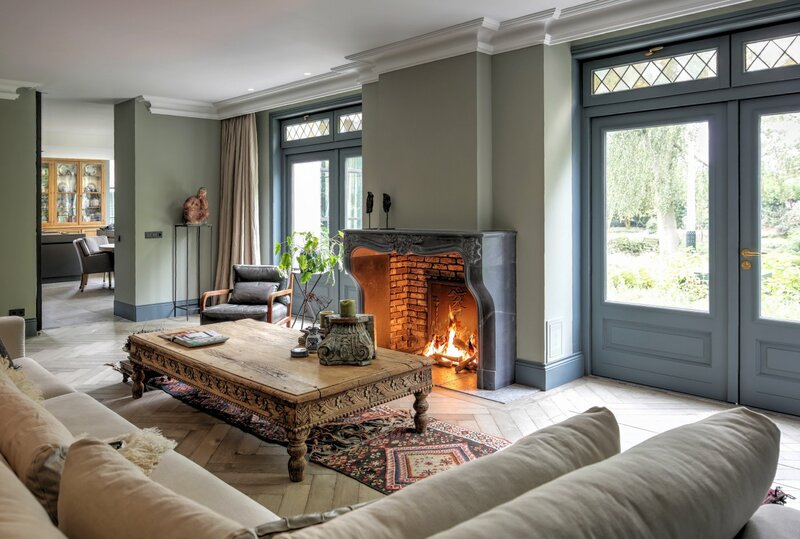 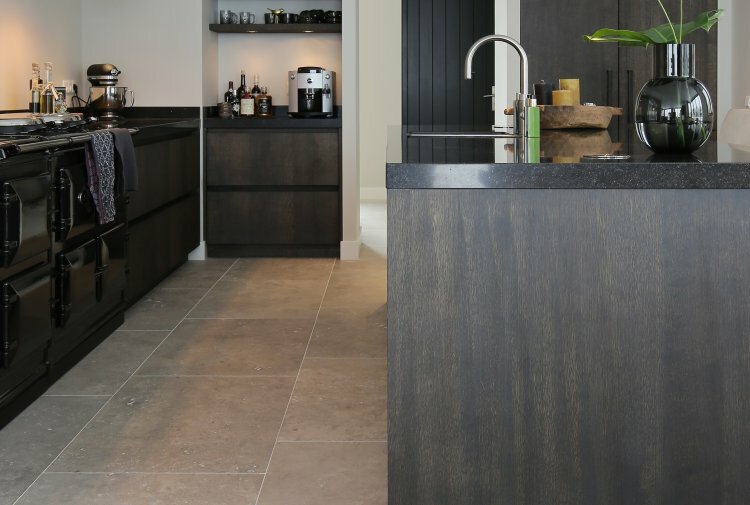 In the hall is the aged Belgian hard stone floor 'La Bourse' and in the kitchen is the belgian hard stone floor 'Authentique'. 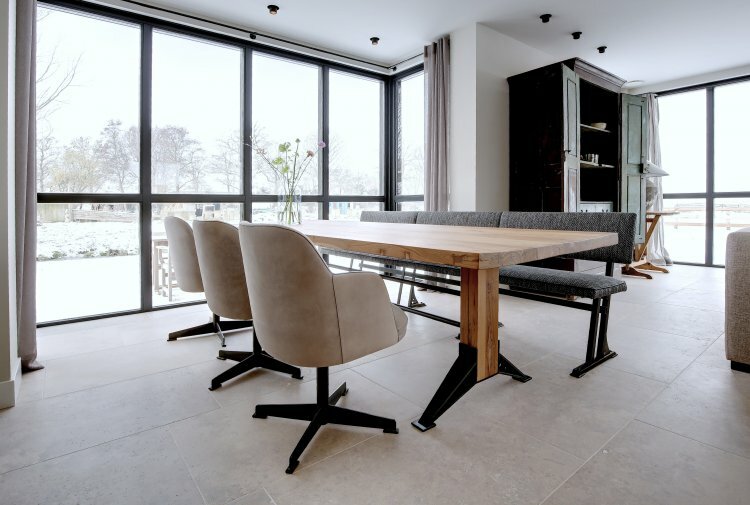 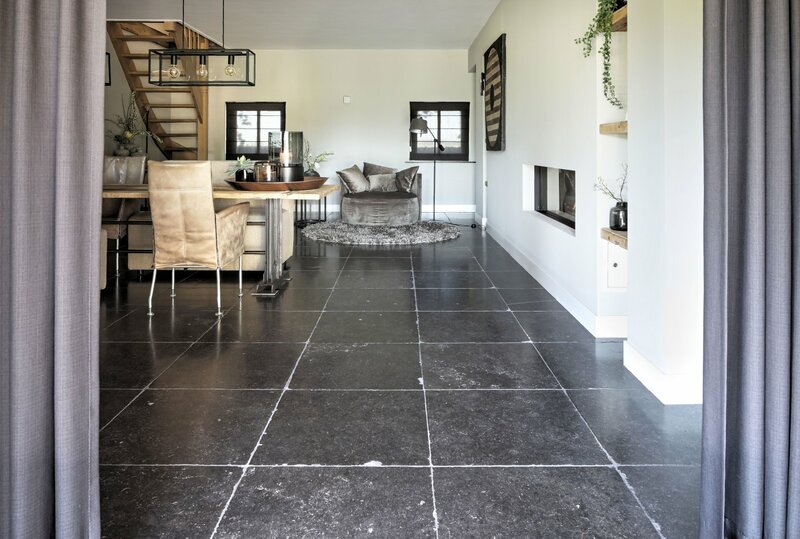 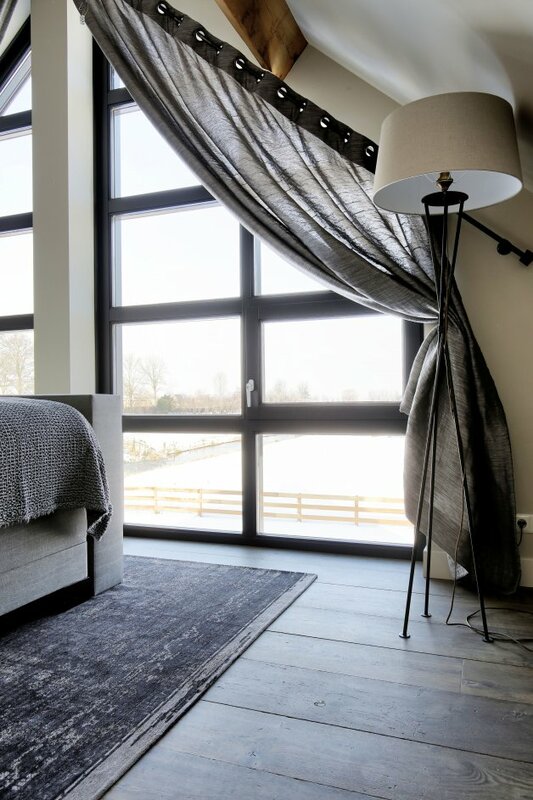 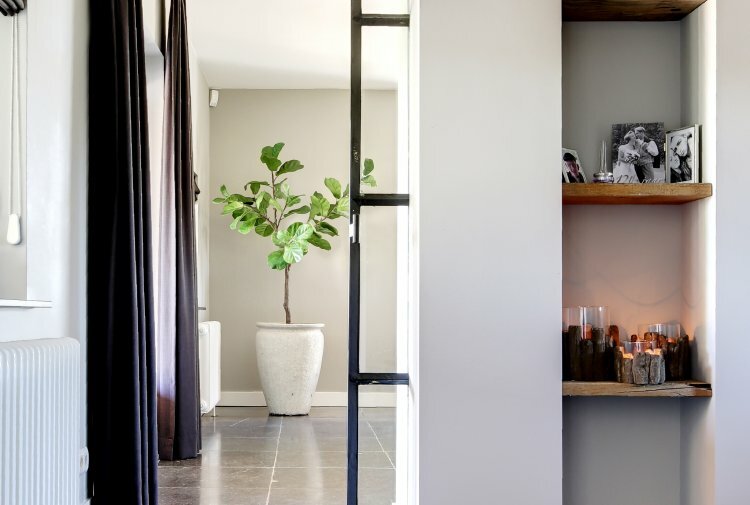 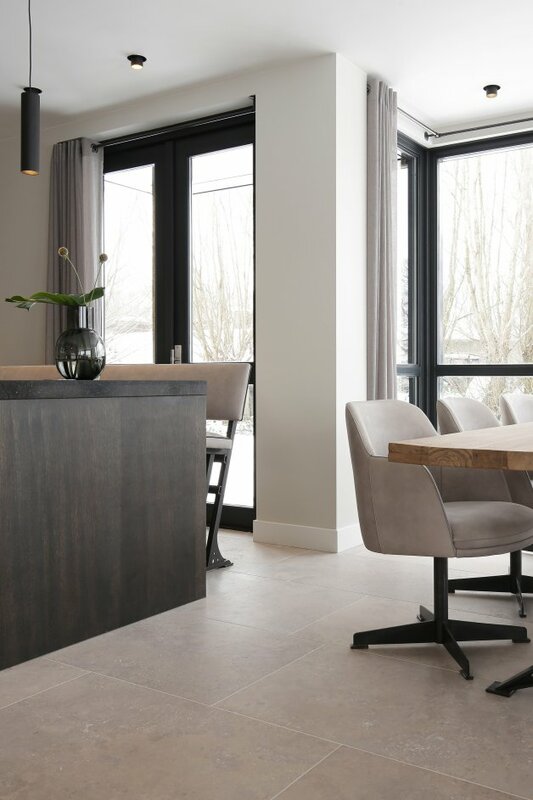 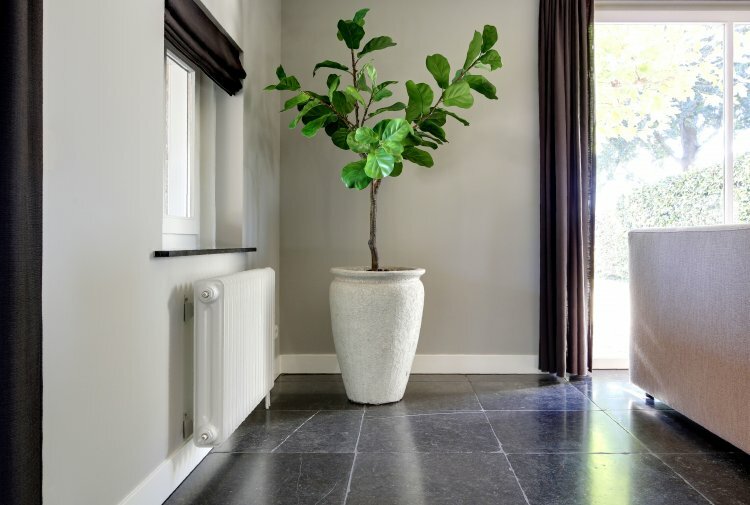 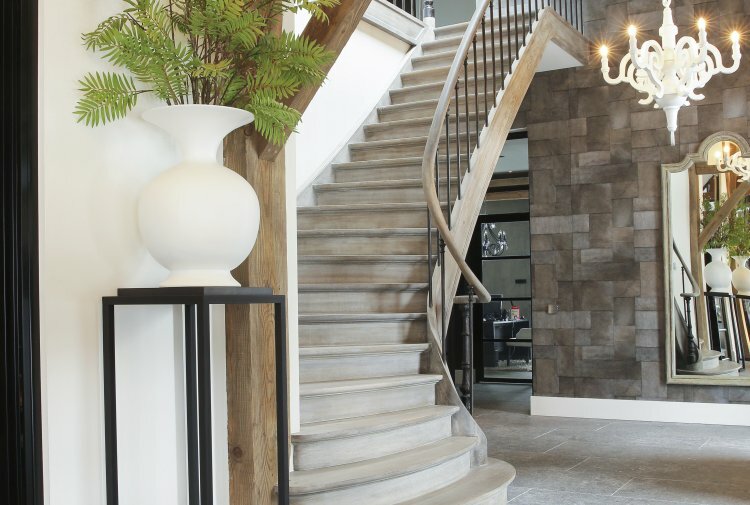 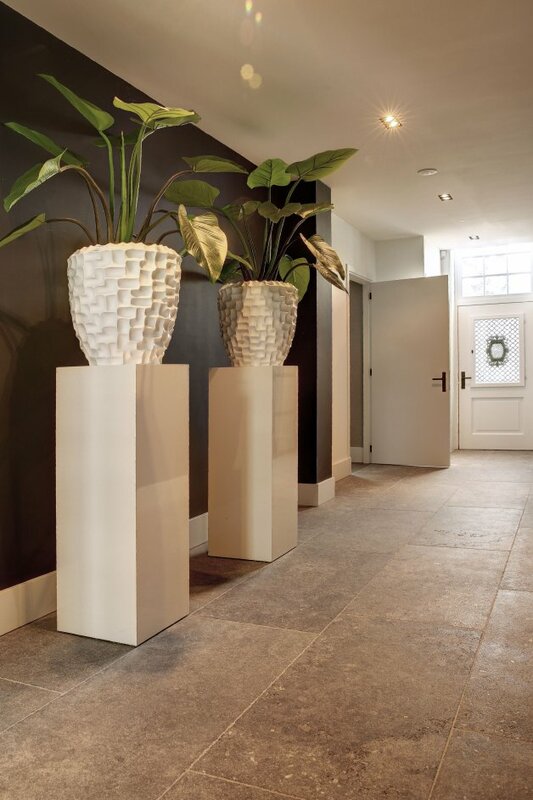 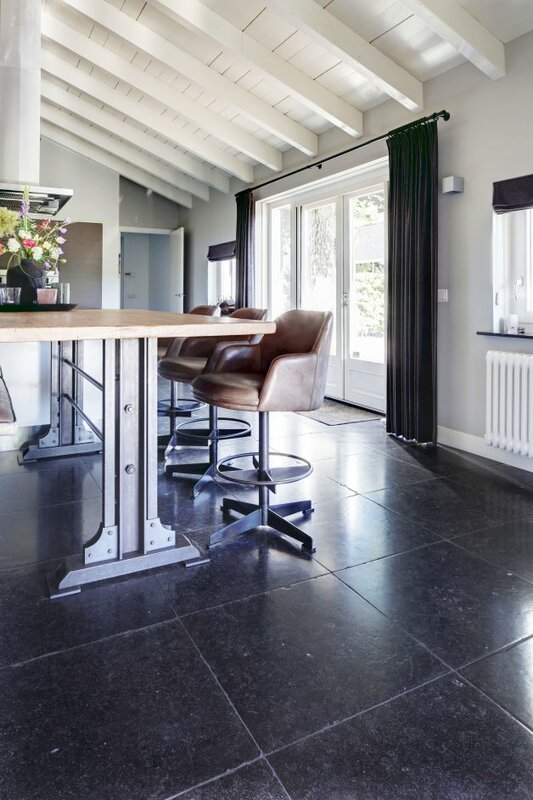 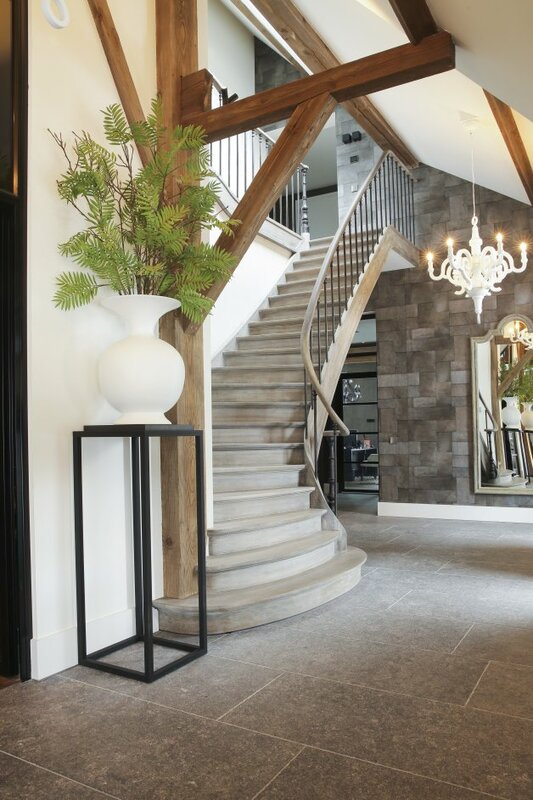 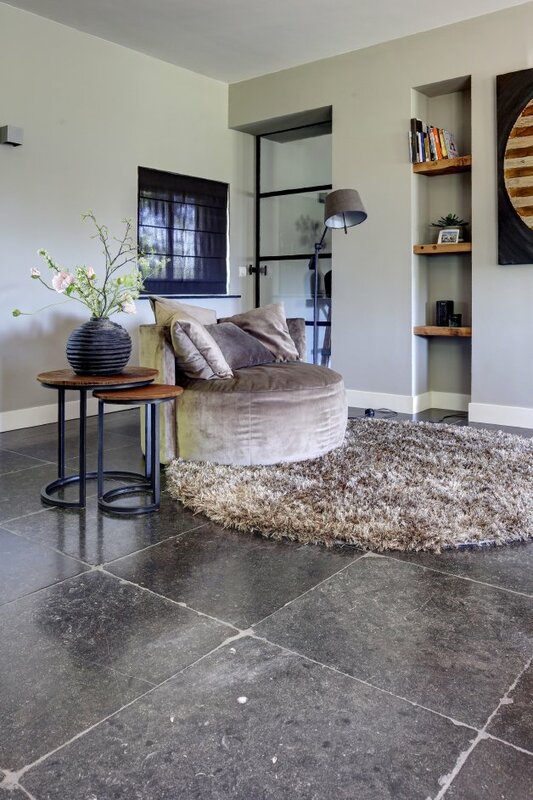 Two floors of Belgian bluestone, but with a completely different look. 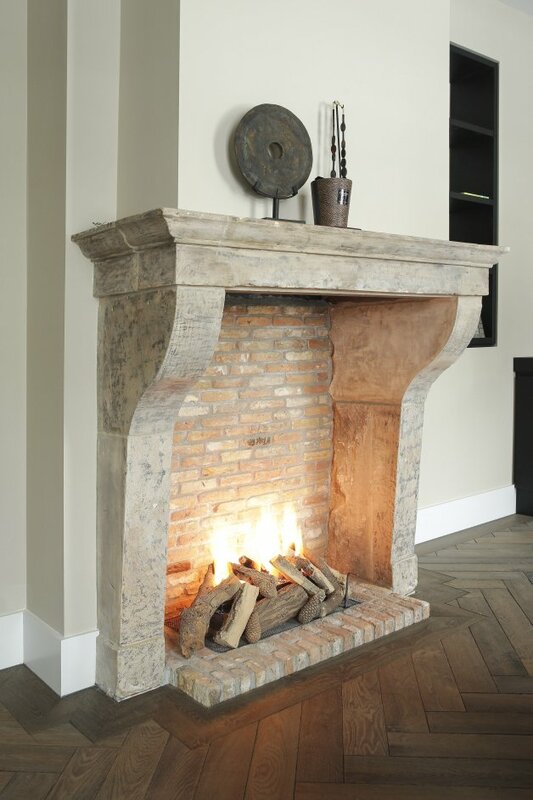 In the living room we also have placed an attractive gray marble fireplace. 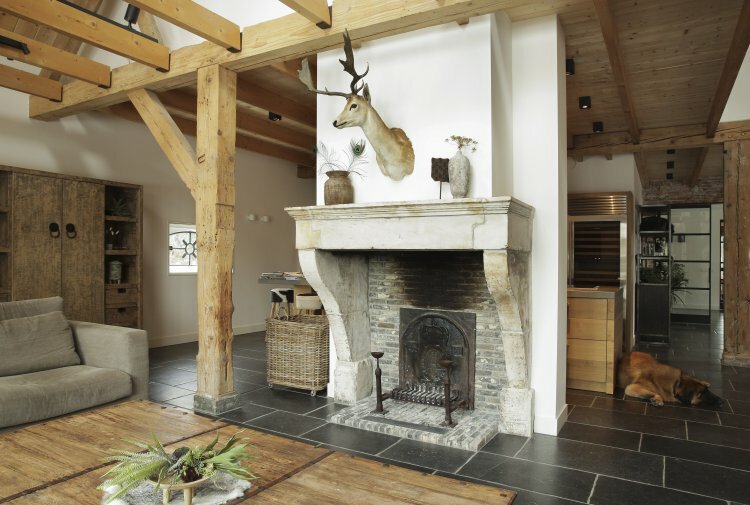 At this farm we have laid the belgian sweetened hard stone floor over the entire floor. 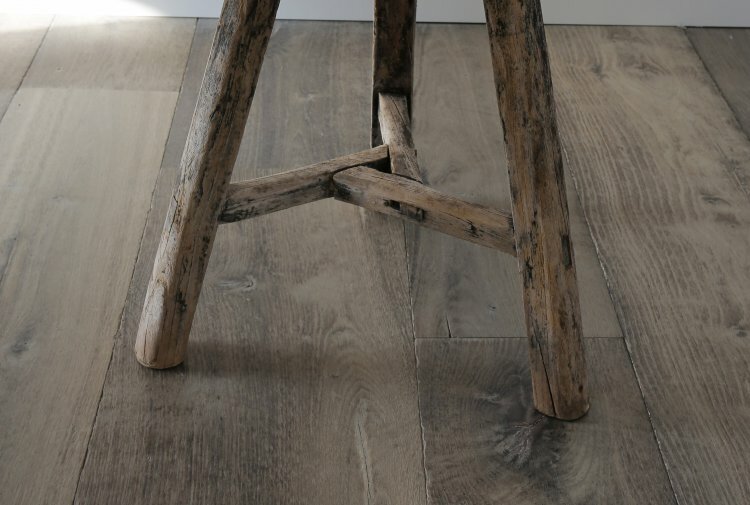 The floor provides unity and has a beautiful authentic look. 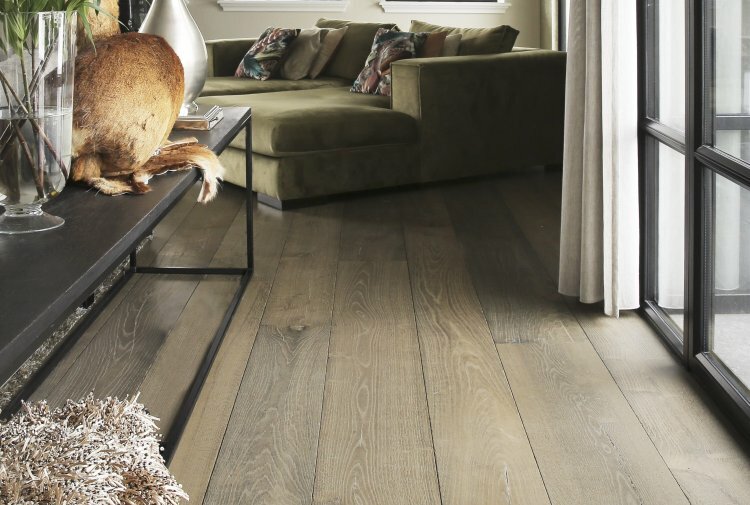 This floor is available in various types and sizes.